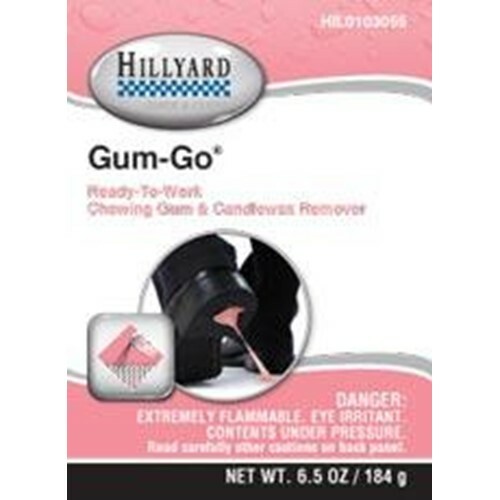 With this product it is easy to remove chewing gum, candle wax, putty and other gummy substances from surfaces. The chewing gum remover will make the messy job quick and neat by freezing the substance to approximately minus40 degreesF so you can crack it off fast. Removal is easy and there is no staining or chemical residue left behind. This product contains no chemicals that will reduce the ozone in the upper atmosphere. Care should be exercised when using this product as frostbite may occur if sprayed on the skin.